This family-friendly hotel is located in the city center, within 2 mi (3 km) of Forest Stage Northeim, Theater of Night, and Heritage Museum. Northeim Town Hall is 1.7 mi (2.8 km) away. Located in Northeim District, this hotel is within a 10-minute walk of Theater of Night, Heritage Museum, and Northeim Town Hall. Forest Stage Northeim is 1.4 mi (2.2 km) away. Northeim (Han) Station is 17 minutes by foot. 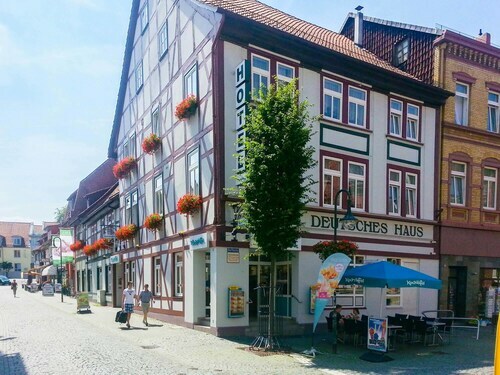 Located in Northeim District, this hotel is within a 15-minute walk of Theater of Night, Heritage Museum, and Northeim Town Hall. Forest Stage Northeim is 1.7 mi (2.7 km) away. Northeim (Han) Station is 23 minutes by foot. 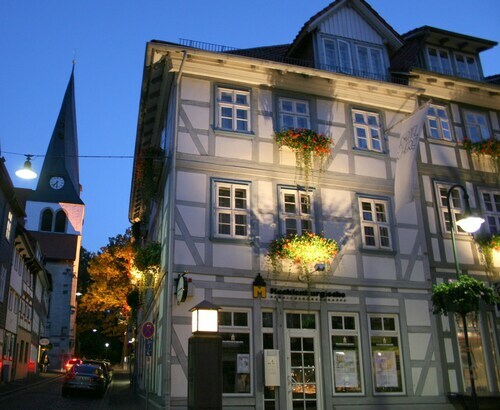 Located in Northeim District, this hotel is steps from Northeim Town Hall and Heritage Museum. Theater of Night and Forest Stage Northeim are also within 2 mi (3 km). Northeim (Han) Station is 14 minutes by foot. How Much is a Hotel Room in Northeim? Hotels in Northeim start at $110 per night. Prices and availability subject to change. Additional terms may apply. Planning to book hotels and apartments in Weserbergland, particularly in or around Northeim? With 3 hotels and apartments on Travelocity within a 6-mile (10-kilometer) radius of the center of Northeim, it shouldn't be hard to find something that ticks all your boxes. Despite the fact that Northeim can't boast to being home to a varied collection of lodgings in the midst of its urban core, Hotel zum Ruecking is handy enough to satiate enlightened visitors. 13 miles (21 kilometers) outside of the city center of Northeim, you will find the Romantik Hotel Gebhards. 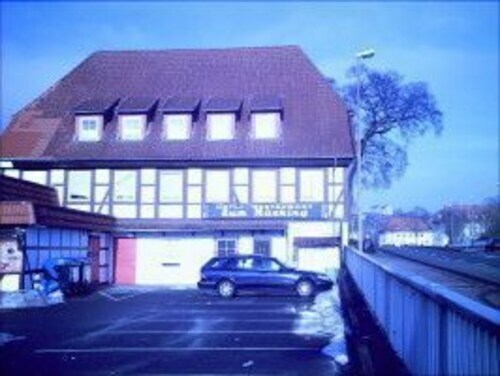 The Hotel Freigeist Northeim can be found about 2 miles (3 kilometers) away. The Eden Hotel and the Hotel Freizeit In are alternative places to book accommodation around Northeim. Got plans to travel further afield? Lower Saxony - Bremen offers a number of options to check out. Explore Lower Saxony - Bremen's old towns and relish the region's beaches, coastal plains, forests and rivers. Common things to do in this particular part of Germany include snowboarding and skiing. Hann. Muenden is 25 miles (39 kilometers) southwest of Northeim and features Tanzwerder Island and St. Blasius Church. If you'd like to spend a few nights in Hann. Muenden, check out the rooms at the Alter Packhof and Flux - Biohotel im Werratal. 35 miles (57 kilometers) northwest of Northeim, you will reach Bad Pyrmont, home to the Steigenberger Hotel and Spa and ClassicFlairHotel Bad Pyrmont. If you're staying in Bad Pyrmont, be sure to explore the Bad Pyrmont Castle and Friedrichsquelle. Before saying your farewells to Weserbergland, be sure you are able to watch an exciting game. Visit HDI Arena, which you can find north of Northeim. Book Travelocity-listed accommodation nearby to the action at the Cityhotel Königsstraße or the Sheraton Hanover Pelikan Hotel. Hannover Airport is a practical airport for accessing Northeim. You can find it 55 miles (85 kilometers) from the center of town. For wise travelers who would like to find a base nearby, look into Leonardo Hotel Hannover Airport or Maritim Airport Hotel.